Misalignments in the spine put pressure on the spinal cord and nerves that supply the body and can cause dysfunction such as pain, numbness and/or tingling. Spinal adjustments are safe and effective and realign the spine to help relieve tension on the nervous system. During pregnancy, many women experience pain and inflammation in joints such as knees, ankles, hips and sacroiliac joints. Chiropractic care can help relieve this pain by maintaining proper joint alignment and reducing interference in the communication between the brain and the body. Common symptoms experienced during pregnancy include things like nausea, acid reflux and insomnia. Chiropractic care can help manage and control these symptoms by adjusting different regions of the spine and reducing pressure on the spinal nerves. For example, your body’s sleep center is located in the brainstem which sits adjacent to the upper cervical spine. Adjusting this region of the neck can help relieve any pressure there, resulting in improved sleep. Acid reflux often occurs because of issues related to the stomach, which is innervated by nerves in the thoracic region. Reducing pressure in the thoracic region (mid back) can help minimize reflux symptoms and severity. The body experiences many changes during the course of a pregnancy. The growing belly shifts the center of gravity forward thus causing an increase in the curvature of the lumbar spine (low back). This increase in curvature, known as hyperlordosis, can contribute to a significant amount of low back pain experienced during pregnancy. 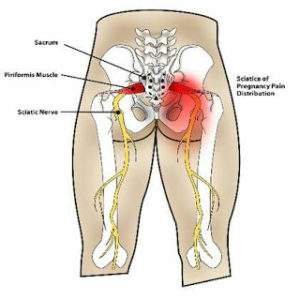 The postural changes in the low back can start a snowball effect in the rest of the body. For example, the thoracic spine (mid back) tries to compensate for the shift of the center of gravity and increased curvature in the low back by hunching the shoulders forward creating a hyperkyphosis or hunch back, which then causes the cervical spine (neck) to protrude forward affecting the musculature of the neck and upper back creating tension. All of these postural changes can be easily managed with consistent chiropractic care including spinal adjustments and soft tissue treatments. 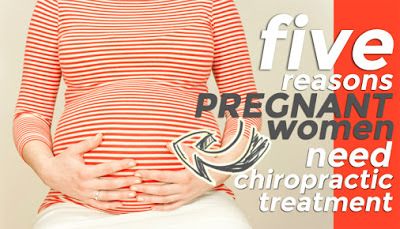 Routine chiropractic care throughout pregnancy can help decrease labor time because maintaining proper pelvic alignment allows the baby more room in the uterus to move into the vertex (head down) position before labor begins. This can also help to lessen the necessity of a cesarean delivery. Proper alignment of the pelvis also helps to reduce the need for pain medication during delivery. 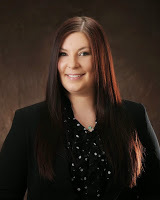 If you, or someone you know, is pregnant, in the Gallatin Valley area and looking for a chiropractor in Bozeman, please call Dr. Shea Stark with Pro Chiropractic at 406-388-9915 to schedule an appointment. Dr. Stark is a board certified chiropractor and the author of this blog post. To learn more about Dr. Stark and the many benefits of chiropractic care, please visit our website: www.prochiromt.com.